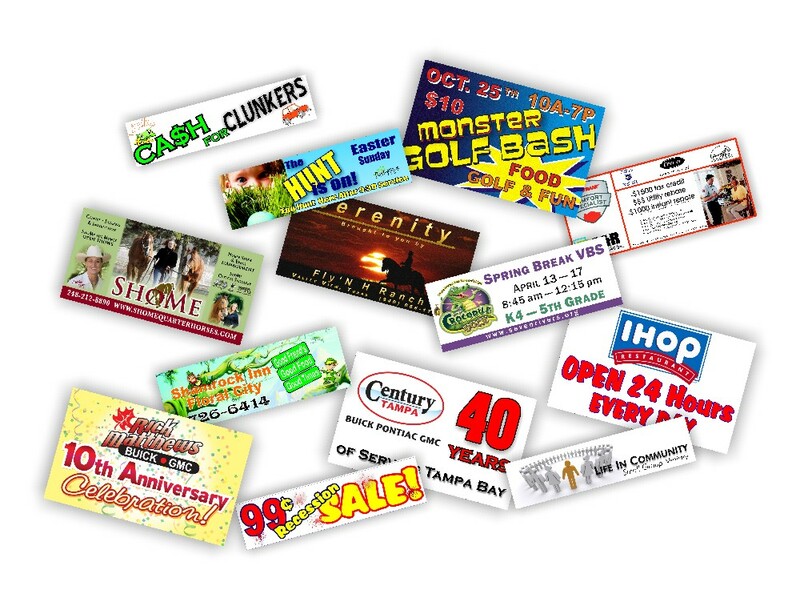 Giant Promotions has capabilities to design and manufacture full color digitally printed banners, signs, mesh banners, floor graphics, window clings, and much more. 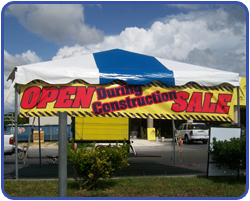 Please call and we can customize products to fit your storefront, special sales event and budget!. 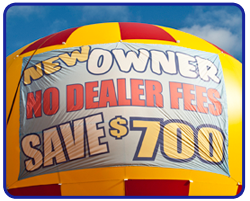 Customized Banners are Great for Any Occasion! 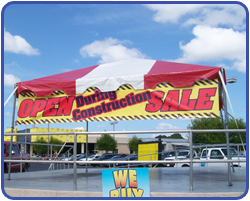 Customized banners and signs are a huge outdoor advertising tool, especially for on-site advertising because they are so versatile. 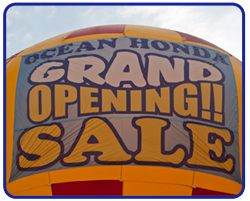 Customized banners can be hung from store fronts, attached to inflatable balloons, made into flags, or displayed as truck bed billboards. The hard part isn’t deciding to have a custom banner printed. 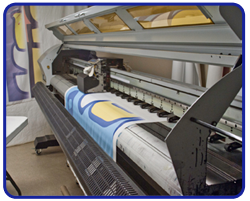 The difficult part has more to do with deciding on the custom design you want to be printed. Psychologists say color has a huge impact on our emotions, and business owners know that people shop and purchase in response to their emotions. Here is a closer look at colors and how they have the power to influence the minds and therefore pocketbooks of potential customers. Rarely found in modern logos for two reasons. 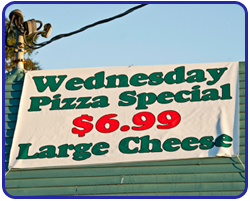 Your business could appear cheap for having too little color. It can give a neutral or indifferent feeling.